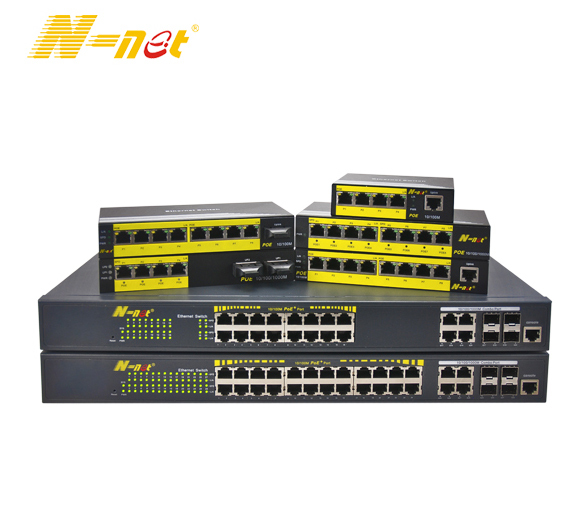 Product categories of Managed Gigabit Ethernet POE Switch, we are specialized manufacturers from China, Managed Gigabit Ethernet POE Switch, Managed Gigabit Switch suppliers/factory, wholesale high-quality products of Managed Switch POE R & D and manufacturing, we have the perfect after-sales service and technical support. Look forward to your cooperation! Managed Gigabit Ethernet POE Switch is a industrial managed and redundancy Ethernet Switch, providing Gigabit Ethernet 1000Base-X SFP ports and up to 100Base-TX ports. Industrial design: -40℃~+80℃ working temperature and redundant power input, IP40 level, according with the requirements of the EMC industrial level 4, DIN-Rail mounting or wall mounting, (Recovery time<20ms), RSTP, STP and MSTP protocol, satisfied the reliable and practical requirement of industrial control for network system, the reliable hardware design is specially use for industrial communication continuous running.